Here’s the latest “how to” safety and security tips, industry trends, new products and services, new customer contact faces at Huronia, as well as our community involvement in the various events and charities that we support. To make sure you are receiving all of our news, sign up for eWaves, our e-newsletter. Click here to see past eWaves issues. As Members of the Southern Georgian Bay communities – both from a business perspective as well as a personal perspective - it is our corporate social responsibility to support local, not-for-profit community organizations by providing financial contributions, in-kind services, and volunteer support. We have set in place a corporate policy that ensures that all Huronia’s charitable donations, sponsorships, company activities, and in-kind products and services are coordinated and aligned with our corporate social responsibility strategy and business goals, while continuing to foster long-term business relationships within the communities that we service. Finally, these charitable actions must align with our yearly budgets and available resources. We will, on occasion, communicate with our Customers and Strategic Partners about our activities, and on occasion, seek their help. 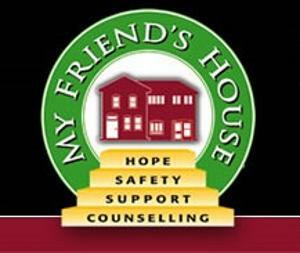 My Friends HouseFor many years, Huronia has supported My Friend’s House (MFH) in Collingwood Ontario, by way service-assistance and event-fundraising activities. MFH is a non-profit agency that provides a 24 hour safe refuge for abused women and children, in the Georgian Triangle. The services are free to any woman or child in need. We need your help to ensure that they can continue to operate. There is simply not enough funding being provided to ensure their existence. Why? Well, seven years ago, the government put a funding freeze against this type of not-for-profit agency. And this resulted in an enormous funding shortfall for MFH. Recently the provincial government lifted the ban. But soon after, the election was called and MFH is left, again, having to turn to the community, companies and donors to help them raise $180,000 to cover the bare necessities of running their 24 hour, 12-bed shelter. Necessities like keeping the lights on, and the furnace running. Like buying peanut butter, milk and groceries. And paying insurance and telephone bills. Additionally, a home that was donated to MFH (where a program was run in conjunction with the Status of Women Canada) recently had to be sold because there was not enough annual funding to keep the shelter and the new building afloat. The house was sold this past February and the proceeds have gone to an endowment fund with growth in mind to help MFH cover costs in the long-term. Last year over 200 women and children turned to the MFH 12-bed shelter to help get them out of an abusive situation. MFH responded to 1,500 crisis calls. Calls that were answered 24 hours a day, 7 days a week by a qualified counsellor. Over 600 women and children went through MFH’s “outreach and transition” program, ensuring that they were looked after once they left the shelter. MFH has never had a waiting list for access to safety or help. No victims have ever been turned away. Huronia is participating in a fundraising event – 6 Hours of Gibraltar. And the “Huronia Rockets” are looking for sponsorship dollars to help our team reach our fundraising goal. You can make an online donation by clicking here. Any donations of $25 or more will receive a tax receipt. Enter your own team in this amazing-one-day-race. Register online. Show your support and help spread the word about this great organization … ‘like’ My Friend’s House on Facebook, and follow them on Twitter to keeps up to date with issues surrounding violence against women and local fundraising events. For past articles please visit our news archive.